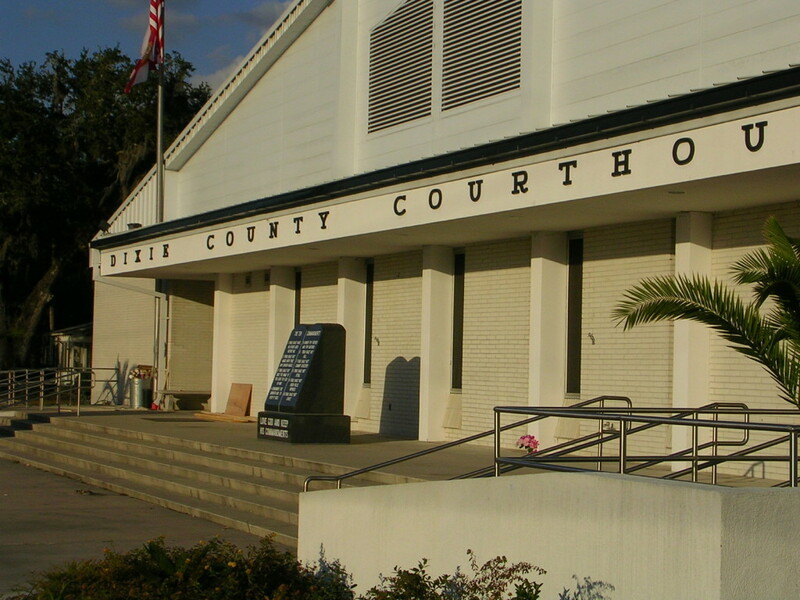 A federal appeals court has thrown out a lawsuit filed by the ACLU, which challenged officials in Dixie County, Florida for displaying a privately-owned monument of the Ten Commandments on the county courthouse steps. The commandments were said to have discouraged a man from buying land in the county due to his offense at their public display. The ACLU then filed a federal lawsuit against the county, claiming that the Ten Commandments monument violated the Establishment Clause of the United States Constitution. The county retorted by stating that since the display is privately-owned, it cannot be construed as a government establishment of religion. Doe additionally included an affidavit, which alleged that the presence of the monument prevented him from purchasing property in the county. “Removing the monument is the right thing to do. It is not the business of government to promote religious messages about monotheism, idolatry, taking the Lord’s name in vain or honoring the Sabbath,” said Robert Simon, the executive director of the ACLU of Florida. The ruling was appealed to the 11th Circuit Court of Appeals, which sent the case back to the lower court earlier this month for further analysis. The court stated that there was a dispute over whether Doe truly suffered an “actual injury” from the display and ordered that additional information be obtained, as well as an evaluation of the witnesses. Last week, the 11th Circuit ruled that Doe lacked standing to file the lawsuit, stating that his testimony was inconsistent regarding what harm the display actually caused him. The court explained that Judge Maurice Paul failed to examine all of the evidence, as Doe’s affidavit conflicted with his deposition testimony. The County has been represented by Liberty Council, the legal organization associated with Liberty University in Lynchburg, Virginia. The 11th Circuit Court of Appeals oversees the states of Florida, Georgia and Alabama. 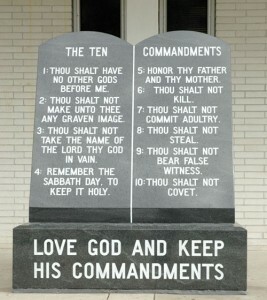 In 2003, the court declared a Ten Commandments display erected by Alabama Supreme Court Chief Justice Roy Moore in the rotunda of the courthouse to be unconstitutional. As a result, District Court Judge Myron Thompson then ordered Moore to remove the Ten Commandments from the courthouse rotunda within fifteen days. Moore refused, but the monument was later moved to a room that was not open for public viewing. However, Moore is currently on track to regain his seat as Chief Justice of the Alabama Supreme Court, as he is leading in the polls 55 to 33 percent. With last week’s ruling from the 11th Circuit Court of Appeals, the Ten Commandments monument will continue to stand on the Dixie County courthouse steps.